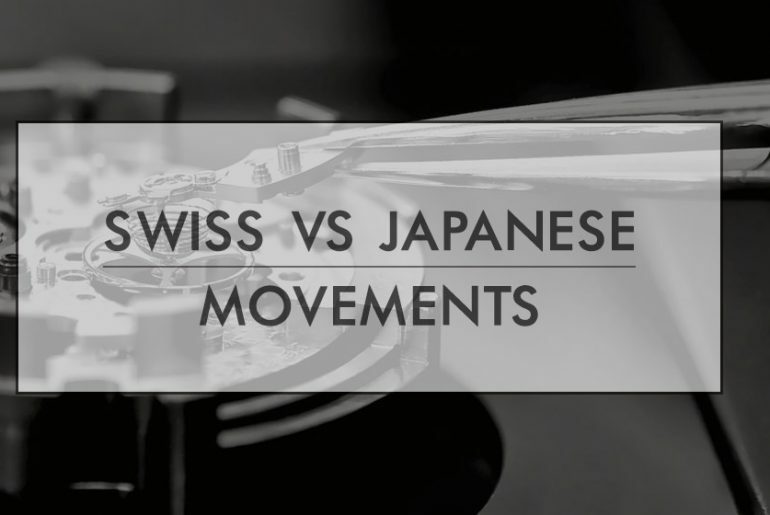 Generally speaking, Swiss movement is the best, and Japan movement takes the second place. The watch movement includes quartz movement and mechanical movement. Japanese electronic products are made delicately, and the high quality of Japan movement is guaranteed. fair price. SEIKO mechanical movement is praised by the majority of users, building up a high brand image. To achieve higher standard, SEIKO watch is checked and passed by extreme danger and harsh environment. The lowest on of SEIKO mechanical movements is Cal.7S26. SEIKO Cal.6R20 is an upscale movement, making SEIKO watch occupy stable position in high quality mechanical watch market. ETA is not strange for those who know lots about watch. At present, ETA which was monopolized by SWATCH is the largest manufacturer to make finished movements and semi-finished movement throughout the world. ETA SA Manufacture Horlogère Suisse which is located in Switzerland has many factories to product and assemble movements in France, Germany, Thailand, Malaysia, China and so on. ETA monopolizes more than 85% movement output, and it also supplies superior movements to many famous watch brands. ETA’s main business includes: guarantee technology research of Swiss watch; develop large scale productions of cheap parts, movements and watches; master the skills of watch and machine; assemble movements and watches in bulk; self research and development about ETA. Especially ETA2824/ETA2892/ETA7750 are widely used and praised. In general, Swiss movement is better than Japan movement. But they include different grades of movements, it is difficult to define absolutely which is the best. Whether Swiss movement or Japan movement, good quality is guaranteed. It is well known that the core of the watch lies in the movement, which is as important as the heart of the human body. 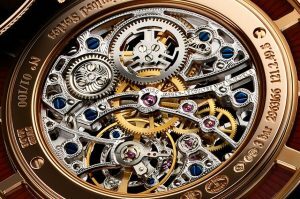 The movement greatly determines the performance of a watch. 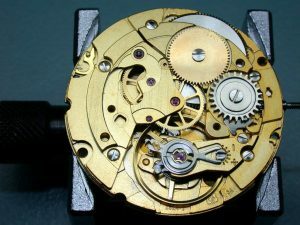 Here a brief talk on the features of ETA movement and three types of self-made movements helps you know about watches more or less. 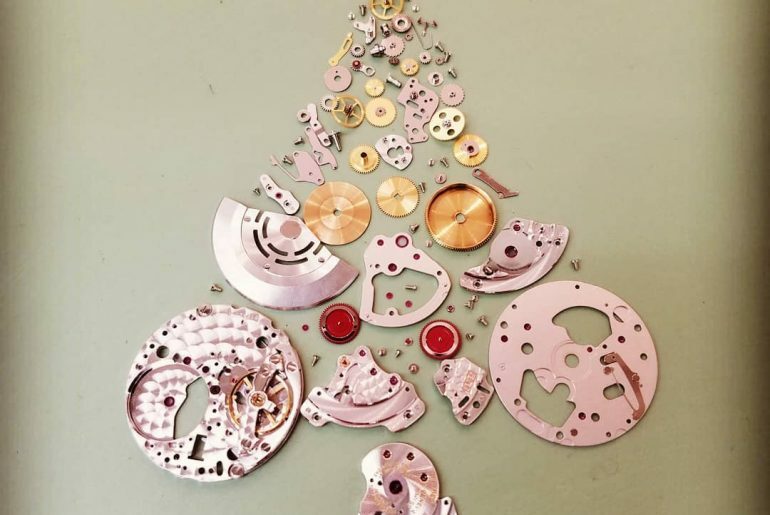 ETA SA Manufacture Horlogère Suisse is the largest manufacturer in manufacturing finished movements and semi-finished movements all over the world. ETA monopolizes more than 85% movement output in Switzerland. 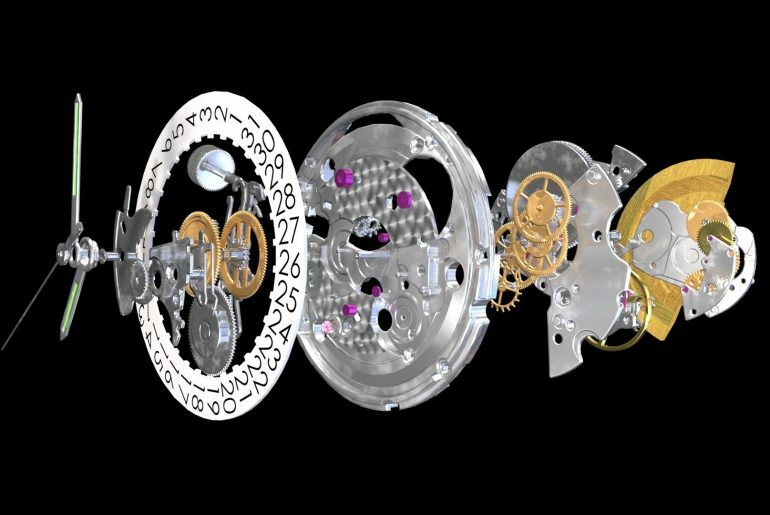 Though ETA movement isn’t the best, it supplies a great deal of movements to many famous watch brands. As the common movements, ETA which was born earlier could be called the mature movement since it has been developing. It indeed has incomparable stability and precise durability. 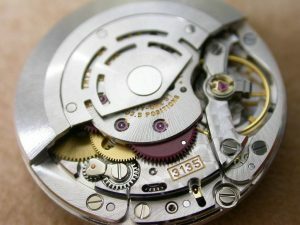 Which on earth is better, ETA movement or self-made movement? It has no definite answer for that, and mostly it depends on movement grade, your propoty and your personal opinoins. Rolex Caliber 3135 is honoured as the king of self-winding movements. The caliber 3135 first hit the market in 1988. It is a Certified Chronometer with 31 jewels, and is adjusted for five positions and temperature. The 3135 has approximately 48 hour power reserve, however, some specs listings online have been known to incorrectly round this number up to 50 hours. It has a few design quirks, such as red anodized components, a Breguet hairspring and a winding mechanism in which the axis of the weight segment is stored in synthetic ruby (normally the rotor mechanism is embedded in steel ball bearings). The movement is installed in the models Datejust, Submariner Date, Yacht-Master and in the former model Sea-Dweller 4000, which was produced between 1988 and 2008. The successor Sea-Dweller Deepsea of 2008 also uses a 3135, but with new Parachrom blue hair spring. The launch of the 8500 series of calibres back in 2007 represented an important milestone in the history of Omega brand, helping the Biel based luxury watch producer to reposition itself in the top market range. 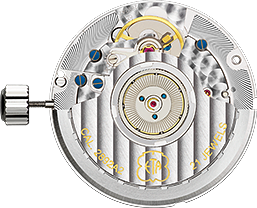 The in-house developed 8500 series of calibres uses the co-axial escapement mechanism, benefiting from technological benefits of the Daniels’ ‘fix’. The movement’s size has been boosted by 13% compared to the previous 2500 calibres series in order to suit the design of the Omega Seamaster collection. The power supply comes from the two mainspring barrels coated with a special material known within the industry as DLC (Diamond-like carbon). This is an extra feature aimed at eliminating friction. Patek Philippe has developed many self-made movements with high performance since it began to develop self-winding movement in 1953. In 2004, Patek Philippe upgraded Cal.315 automatic movement into Cal.324. The accuracy and stability of Caliber324 are improved by changing the operation efficiency of vibration frequency and optimizing gear. 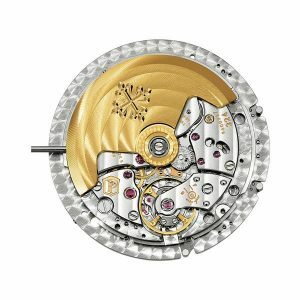 Later Caliber 324 which was equipped with Spiromax® hairspring was passed by Patek Philippe Seal. Patek Philippe Aquanaut Luce Ref.5068R Ladies’ watch and Patek Philippe Calatrava Ref.5127G men’s watch are equipped with Caliber 324SC. A watch greatly depends on the movement. The better the movement is, the more valuable the watch is. Some top watch brands have the capacity to manufacture movements themselves, which requires superb watchmaking technology, but many of watch brands are difficult to do that. Hence they will choose ETA movement. ETA SA Manufacture Horlogere Suisse is a Swiss movement manufacturer. Founded in 1856, ETA, which is acquired by swatch group, is located in Grenchen, Switzerland now. ETA focus on manufacturing watch movements, including mechanical movement, quartz movement, clock movement and so on. 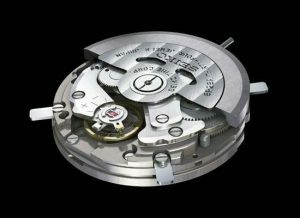 These movements are supplied to many watch brands, such as Ulysse Nardin, IWC, Hublot, Breitling, Panerai, Chopard, Tudor, Tag Heuer, Baume & Mercier, Longines, Titoni, Hamilton, Mido, Tissot and so on. Some watch brands transform into those which they need on basis of ETA movements. At present, many ETA movements are available in the market. Emphatically introduce three famous ETA movements: ETA2824/ETA2892/ETA7750. 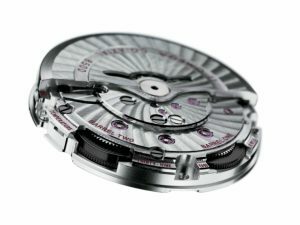 As one of the most common movements, ETA2824 movement has four features of high precision, high stability, low price and self-winding. Due to its thickness, many sporty watches are equipped with ETA2824 movements. For instance, Breitling Colt, Tudor, Maurice Lacroix Masterpiece and Sinn choose ETA2824 or improved version. ETA2892 movement was considered as one of the most stable mmovements. After the mechanical watch revivals, it is also the representative work among Swiss Senior movements. Due to thin thickness, it is developed into movements with different complex functions. Obviously, ETA 2892 is more superior than ETA 2824. Valjoux company was acquired by ETA. Many famous self-winding chronograph and complicated watch are equipped with ETA7750 movement. What’s more, ETA7750 adopts a push-rod timing structure, making the movement simple, durable and easy to maintain. 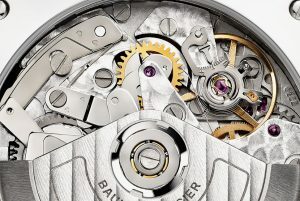 Generally, expensive watch brand selects the movement. ETA SA Manufacture Horlogere Suisse supplies many movements to famous brands. Thus it can be seen that its movements are made exquisitely.